It goes without saying that my business is arthritis and how you can beat the pain, rehabilitate damaged cartilage, and lead a normal life. Of course, at the top of my list is using a very high-quality liquid Glucosamine. However, while that works standing alone for some, it does not for others. That is why I discuss the importance of diet and exercise as components of winning the battle. Dr. Andrew Weil recently released a great book that I know will help you. In fact, he discusses many of the same issues I have talked about but brings them more sharply into focus. 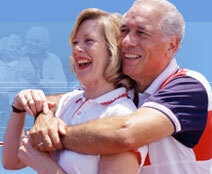 Now, arthritis does not discriminate and it can strike at any age. So, many of you who are regular readers of this column may think that this book does not apply to you. I assure you, if you suffer from arthritis, it does. This book is titled, Healthy Aging. In this book, Dr. Weil discusses so many issues that apply to those who suffer from osteoarthritis that it goes beyond the scope of this chronicle. In a very relevant part, he talks about what he calls �The Anti-Inflammatory Diet.� This section describes eating habits that fight inflammation within your body and it is right on the money. He also discusses exercise, injury avoidance for those who are very active and the pros and cons of certain foods and drinks. In brief, he brings you full circle into many of my past articles and lays it on the line. Following his advice can only assist those who have arthritis. The full title is Healthy Aging, A Lifelong Guide to Your Physical and Spiritual Well Being. The last I checked online, you could buy a new copy for under $17.00. If that book is a little too heavy on your pocketbook or if you want to get only to the diet issues that assist those with OA, I would recommend The Mediterranean Diet. (Revised and Updated in 2004). Many of Dr. Weil�s diet recommendations are similar to this food regimen and it would have essentially the same anti-inflammatory characteristics if followed. The online price, I saw, was $6.99. As I said, I am not in the business of reviewing books. But, either of these books provides a great deal of information that can help you in getting your arthritis inflammation under control. We are coming into a new year once again, so let me wish all of you a very happy one.